Pickup trucks and SUVs are hot sellers. Sedans? Not as much. 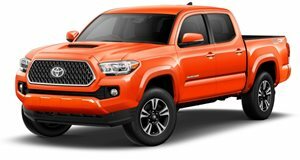 Last week at the Chicago Auto Show, Toyota revealed an updated TRD Pro lineup consisting of a modified Tacoma, Tundra, and 4Runner. For example, the Tacoma’s snorkel, located on the A-pillar, is called the TRD Pro Desert Air Intake. Its purpose is to provide fresh oxygen for the engine instead of dirty air kicked in while off-roading. According to Bloomberg, Toyota is planning more of these tricked-out truck and SUV accessories because Americans are buying trucks and SUVs again at the expense of cars. 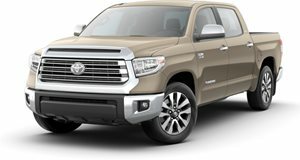 In Toyota’s case, more than 40 percent of Tacoma, Tundra and 4Runner sales are TRD versions. At the same time, Toyota executives are strongly considering a reduction in the number of sedan variants for the likes of the Camry, Corolla, and Prius. However, neither of these models are heading to the chopping block anytime soon. “We will look and evaluate every single one,” said Jack Hollis, head of Toyota US sales. “Do we need all of them? We just want to evaluate the performance of each.” It’s possible that in the near future Toyota will simplify the number of sedan variants it’ll offer to help cut costs. The money saved could then be invested in more TRD Pro accessories. This situation is not unique to Toyota. Automakers doing business in the US have all been witnessing a shift in buyer habits over just the past few years as truck and SUV demand has increased at the expense of conventional passenger cars. For example, Ford has yet to commit to building a next generation Fusion sedan. Fiat Chrysler, meanwhile, dropped the Dodge Dart and Chrysler 200 entirely. Toyota does not seem to be planning on follow suit, and the key to preserving its sedans is to be smart. Why offer a large number of Camry variants when there are not enough interested buyers? Simplifying the trim levels is probably the best way to go in this case. In the meantime, the reborn Ford Ranger will soon hit the market and Toyota is making sure it’ll have its Tacoma ready. 2016 Tacoma TRD Off-Road Double Cab Review: Is It Worth Buying If You Can't Take It Off-Road? After a week with the pickup we still don't know the answer. The Toyota Tundra does what’s expected of a truck of this caliber. It’s not amongst the best in this segment, but there’s still a lot to like about the Toyota Tacoma. 2017 Toyota Tundra Review: Plush Enough To Be A True Luxury Vehicle? The high-trim Platinum model certainly makes a good case for it.